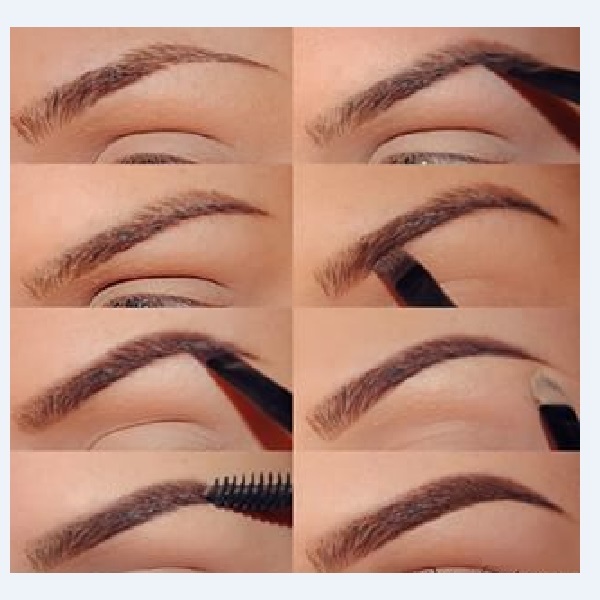 But unfortunately not all of are born with such fabulous eye brows and most teenagers are victims of over plucking .But that hardly means as long as your brows are not growing back you got to deprive yourself from achieving the ravishing look. 1.Draw lines defining your brow with a pencil that is 2 shades lighter than your eye brows. 2.conceal the pigmentations near eye brow region and after you finish apply base for eye shadow,Highlight the brow bones specially the areas beneath brown with a ligther shade matte shade from your pallete. 4 After fill run a clean brush a brush out extra pigments applied.